Creating a free Leading Edge Account is Free and takes a few seconds! Then you will be able to save properties, save searches, request listings and more! It’s easy to START RIGHT HERE! Find a property you like? With our free account you can save and share it with your spouse, friends or others. Once you have narrowed in on a particular search that suits your needs, you can save that search and come back to it later. 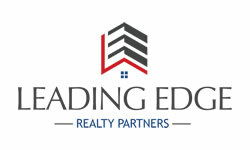 Once you have found a property you would like to see, it’s easy to request a showing when you have a Leading Edge Realty Partners account.